Two Bahraini princes, Nasser and Khalid bin Hamad Al Khalifa are currently training in Florida for the upcoming Ironman competition, which takes place on Saturday. 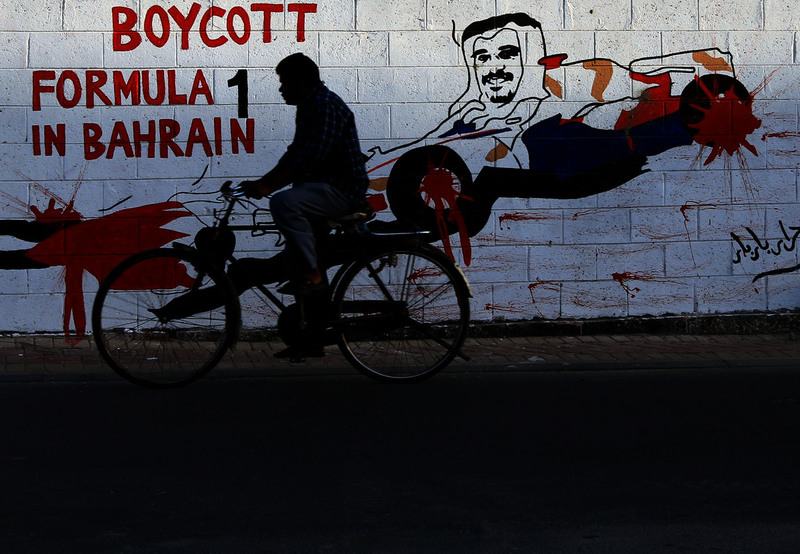 Bahraini human rights organizations have accused both men of serious human rights offenses. Rachel Burke Peterson, Director of Communications at Americans for Democracy and Human Rights in Bahrain, joined HuffPost Live’s Ahmed Shihab-Eldin to discuss whether or not the US government and the Ironman competition should take action in order to address the alleged human rights violations. Following the advent of the Arab Spring in Tunisia, pro-democracy protests erupted across Bahrain in the winter of 2011. The ruling regime responded with an immediate crackdown, deploying a strong security force. Peterson said that the Ironman organization should address these reports and hold the Khalifa brothers accountable for any human rights abuses. While Peterson expressed frustration with the lack of reportage on this story, she feels that overall the US government is increasingly willing to censure Bahrain for human rights crimes.